The Vipers proved a lot to themselves, fighting back from a 15-0 deficit at halftime to pull out a 18-15 win over the New Offenders. Gord Settle led the team to the victory, hauling in a Mike Horrigan touchdwn pass and also stuffing the Offenders attack with three sacks. Horrigan also completed two other touchdown passes to Kyle Hope, and did throw one interception on the day. A convert is what separated Vipers from beating the Falcon today, a team that started the game with only six players and added a seventh when their quarterback chose to dignify the team with his presence. A dire game filled with missed opportunities led to the Vipers losing against a team they had easily beaten earlier in the year. It was a comprehensive victory against an overmatched opponent on Sunday as the Vipers scored early and often in winning by the largest margin of victory in team history. When the dust settled, the Vipers finished with their second shutout of the year, winning 35-0. Vipers were hit with a case of deja vu as another torrential downpour hit the city Sunday, and the rain only served to stall the Vipers offense from pulling out a victory. The sodden ball was difficult to throw, catch and kick, and a number of promising drives were derailed by this. The Vipers dropped a 21-12 decision to the Slow Fat Guys, who's name belied their ability. SFG's short passing game caught the Vipers defense off guard, carving their way to two early touchdowns. and keying them to the victory. 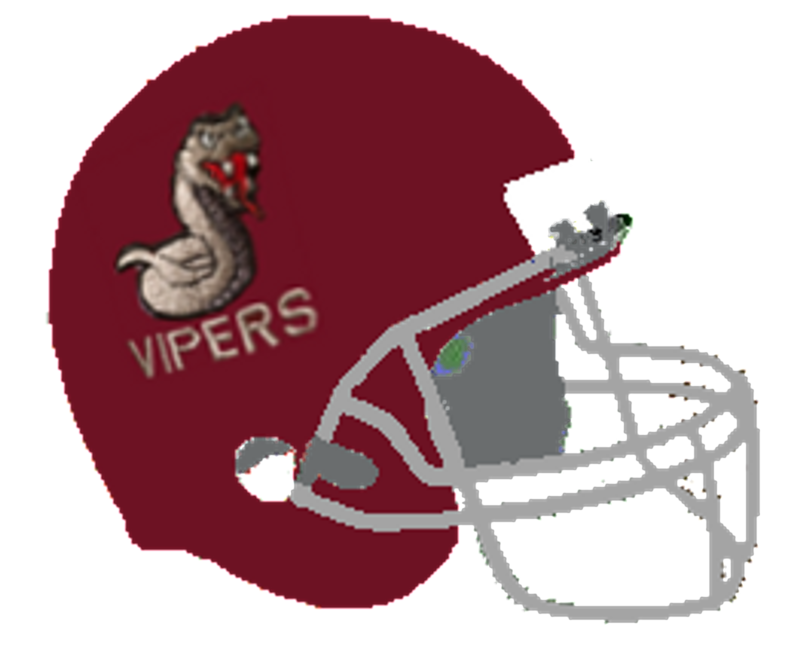 Mike Horrigan threw two touchdowns against two interceptions in the effort, leading the team to a late touchdown to give the Vipers a glimmer of hope. Gord Settle and Jeremy Cruz caught the two touchdown passes from the Vipers pivot. Keyed by a staunch defensive effort, the Vipers earned their first shutout in team history, keeping a clean scoresheet and winning the game 25-0 over fellow C League opponent, the Offenders. A driving rainstorm doused the attacks of both teams Sunday at Pearson, as both teams slogged to only fourteen combined points, but it was Knibb High that came away as victors with an 8-6 victory over the Vipers. Despite heroic efforts by Mike Horrigan and Leon Newcombe, the Vipers attempt to fight back from a 15-point deficit came up just short on the last play of the game. Horrigan threw four touchdowns, three of them to Leon Newcombe, with Jon Kenny accounting for the other major score. However all four of the Viper touchdowns went unconverted, which could have provided the winning points. Despite the return of Bryan LeTourneau at quarterback for the day, the Vipers couldn't mount much of an attack in dropping a shutout decision to the Fox40Bills on Thursday. LeTourneau was able to find a few targets on the evening but couldn't advance the ball into scoring territory, and was relieved in the third quarter by Tony Gingras. Kevin Stasila closed out the game at quarterback, and all three pivots threw an interception during their time under center. Despite the absence of the team's top two deep threats in Gord Settle and Troy Edmonds, Vipers quarterback Mike Horrigan aired it out anyways and efficiently led the Vipers to a comprehensive 20-6 victory over the Falcons at Pearson Sunday.